A series of tests conducted over several years by scientists at the University of California San Diego focused on better investigating the effects of this chemical. They have shown for the first time that Sivanto, developed by Bayer CropScience AG and first registered for commercial use in 2014, could in fact pose a range of threats to honey bees depending on seasonality, bee age and use in combination with common chemicals such as fungicides. The study, led by former UC San Diego postdoctoral fellow Simone Tosi, now at ANSES, University Paris Est, and Biological Sciences Professor James Nieh, is published April 10 in Proceedings of the Royal Society B. Pesticides are a leading health threat to bees. After years of growing concerns about systemic toxic pesticides such as neonicotinoids and their harm on pollinators, Sivanto was developed as a next-generation product. Sivanto's "bee safe" classification allows it to be used on blooming crops with actively foraging bees. Currently, pesticides are approved for widespread use with only limited testing. Perhaps most importantly, the interactions between new pesticides and other common chemicals such as fungicides are not fully tested. Sivanto's product label does prohibit the pesticide from being mixed in an application tank with certain fungicides. 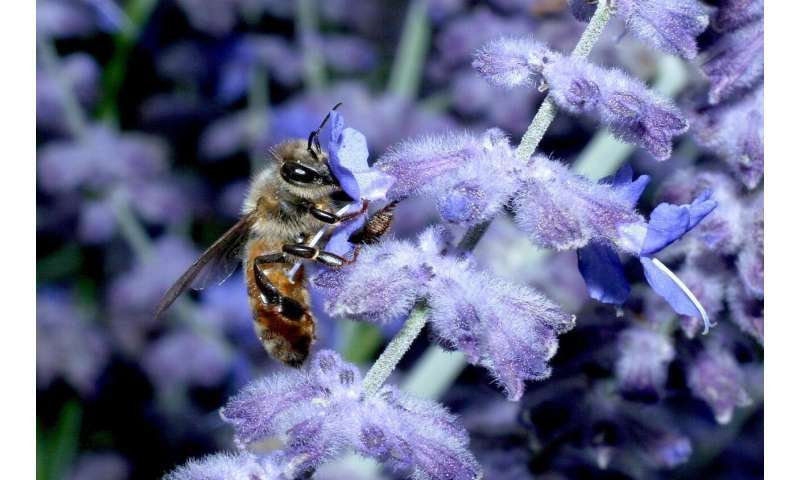 However, bees can still be exposed to Sivanto and other chemicals (pesticide "cocktails") that are commonly used in adjacent crops or that persist over time. Starting in 2016, after reviewing documents describing Sivanto's risk assessments, the scientists conducted several honey bee (Apis mellifera) studies investigating effects that were not previously tested, particularly the behavioral effects of chemical cocktails, seasonality and bee age. 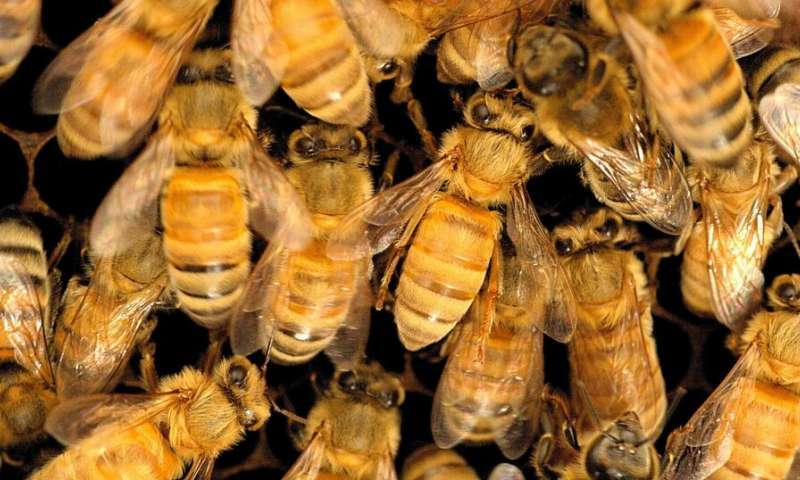 The scientists provided the first demonstration that pesticide cocktails reduce honey bee survival and increase abnormal behaviors. They showed that worst-case, field-realistic doses of Sivanto, in combination with a common fungicide, can synergistically harm bee behavior and survival, depending upon season and bee age. Bees suffered greater mortality—compared with control groups observed under normal conditions—and exhibited abnormal behavior, including poor coordination, hyperactivity and apathy. The results are troubling, the researchers say, because the official guidelines for pesticide risk assessment call for testing in-hive bees, likely underestimating the pesticide risks to foragers. Honey bees have a division of labor in which workers that are younger typically work inside the colony (in-hive bees) and foragers work outside the colony. Foragers are therefore more likely to be exposed to pesticides. "We found foragers more susceptible," said Nieh. "They tend to be older bees and therefore because of their age they can suffer greater harm." 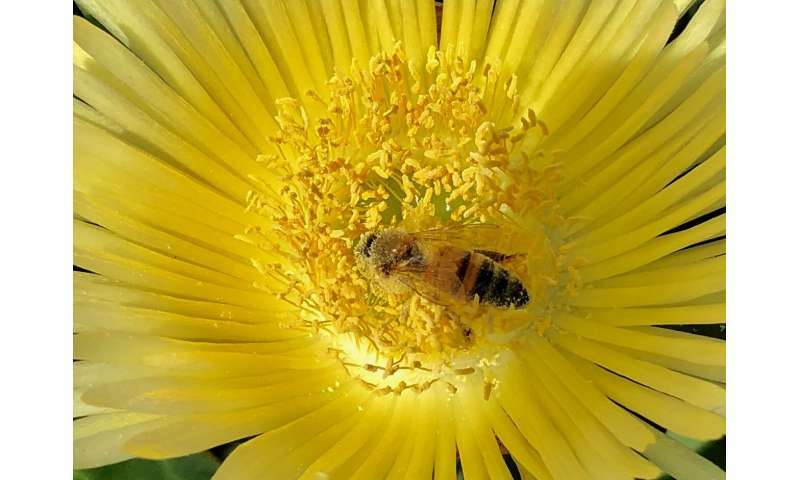 The harmful effects of Sivanto were four-times greater with foragers than with in-hive bees, the UC San Diego study showed, threatening their foraging efficiency and survival. Both kinds of workers also were more strongly harmed in summer as compared to spring. "This work is a step forward toward a better understanding of the risks that pesticides could pose to bees and the environment," said Tosi, a postdoctoral fellow and project manager at the Epidemiology Unit. According to the authors, the standard measurements of only lethal effects are insufficient for assessing the complexity of pesticide effects. "Our results highlight the importance of assessing the effects pesticides have on the behavior of animals, and demonstrate that synergism, seasonality and bee age are key factors that subtly change pesticide toxicity," Tosi said. Cocktail effects are particularly relevant because bees are frequently exposed to multiple pesticides simultaneously. "Because standard risk assessment requires relatively limited tests that only marginally address bee behavior and do not consider the influence of bee age and season, these results raise concerns about the safety of multiple approved pesticides, not only Sivanto," said Nieh, a professor in the Section of Ecology, Behavior and Evolution. "This research suggests that pesticide risk assessments should be refined to determine the effects of commonly encountered pesticide cocktails upon bee behavior and survival." Sivanto is available in 30 countries in America, Africa, Asia and Europe, with 65 additional countries preparing to approve the product soon. Tosi points out that "because Sivanto was only recently approved, and no monitoring studies have yet investigated its co-occurrence with other pesticides after typical uses in the field, further studies are needed to better assess its actual environmental contamination, and consequent risk for pollinators." "The idea that this pesticide is a silver bullet in the sense that it will kill all the bad things but preserve the good things is very alluring but deserves caution," said Nieh.